Premium soft "Badger" imitation. The thin, hand chiseled bristle set of this brush lends it to being an excellent cutting brush for any close in detail work. 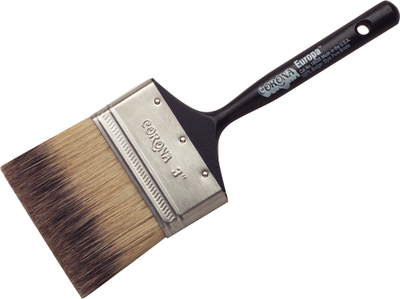 In general this is the perfect applicator for any fine finish where precision placement is required. Lacquered gloss black, short peg handle. Designed to apply smooth varnishes. Made in USA.